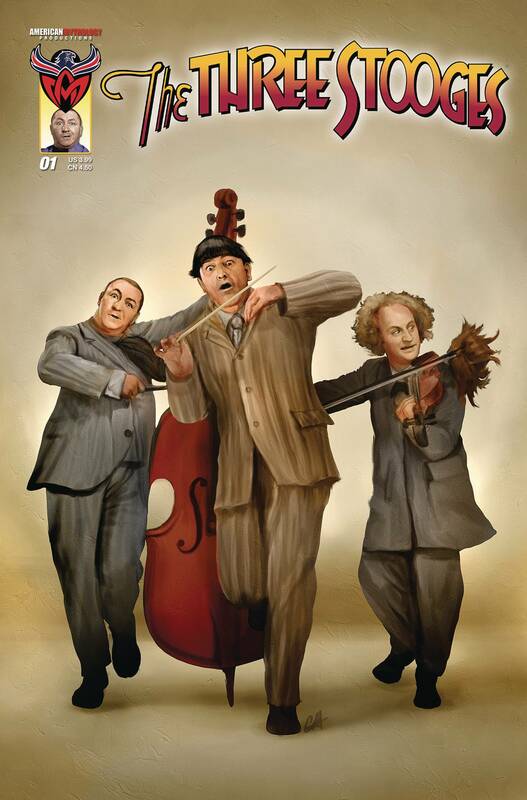 America's favorite funnymen are back in all new original stories featuring the classic likenesses and personalities of The Three Stooges! 70 years after the last film featuring Moe, Larry, and Curly we are proud to present hilarious new shorts with all the eye poking, face slapping, and nose pinching goodness of yesteryear. The Stooges influenced generations of comic book creators and now lifelong fans have a chance to contribute to their legacy with these new slapstick adventures. We cram so much Stooge into this new issue that you'll be nyuk, nyuk, nyuking it up at the comic shop for weeks to come! Timeless comedy returns to comic books with new and classic stories to tickle your funny bone.